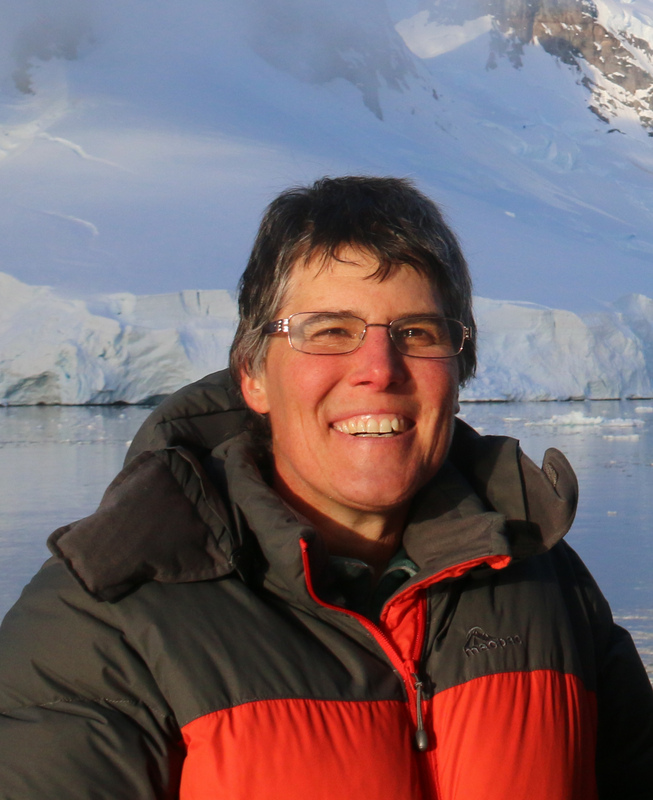 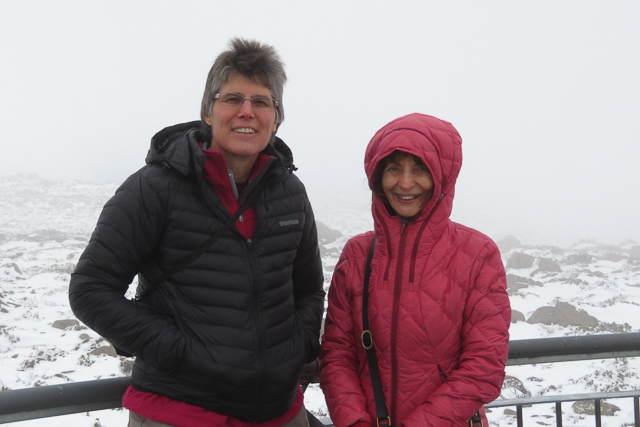 We’ve had a statistics educator from New Zealand visiting us at work and, in addition to work-related conversations, it is always nice to show guests the local scenery. 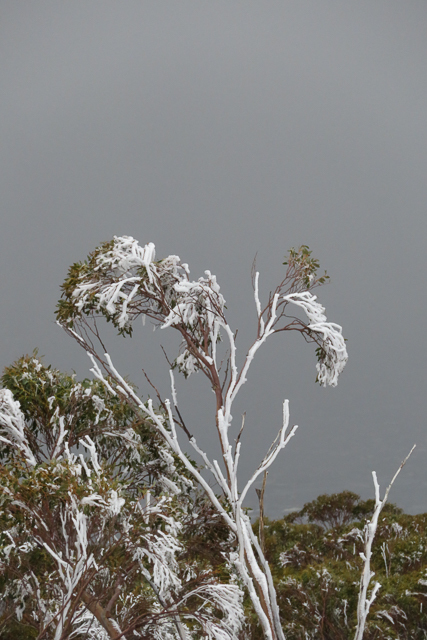 With snow on the mountain and the summit road open we decided to chance a trip to the top in the hope of obtaining spectacular views of Hobart. 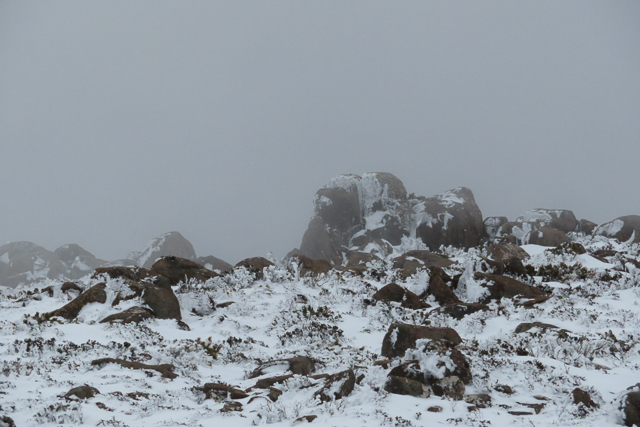 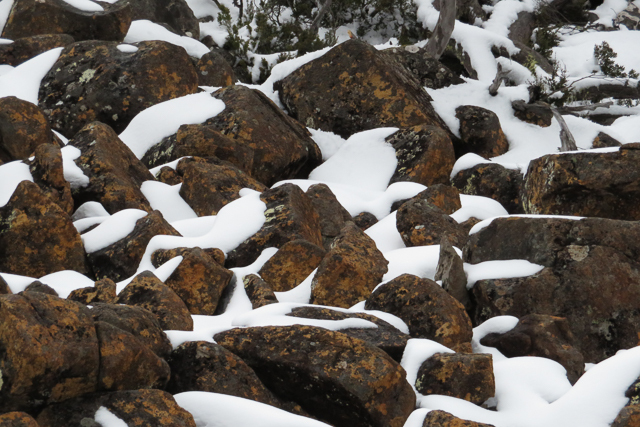 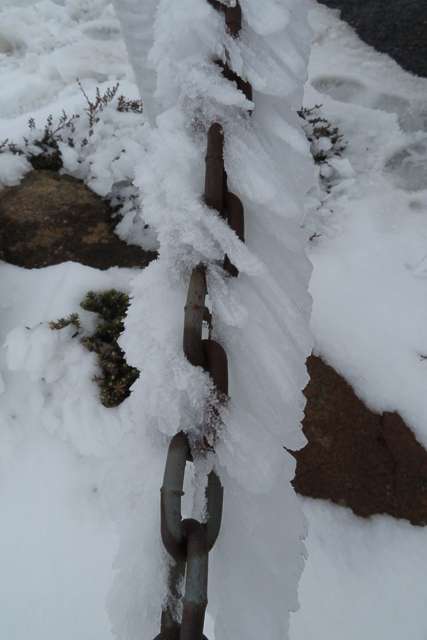 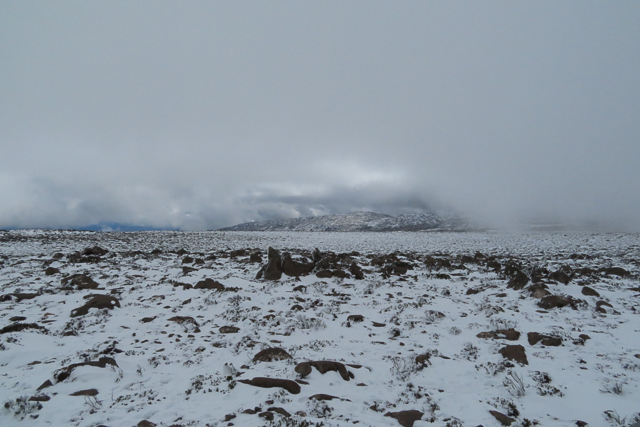 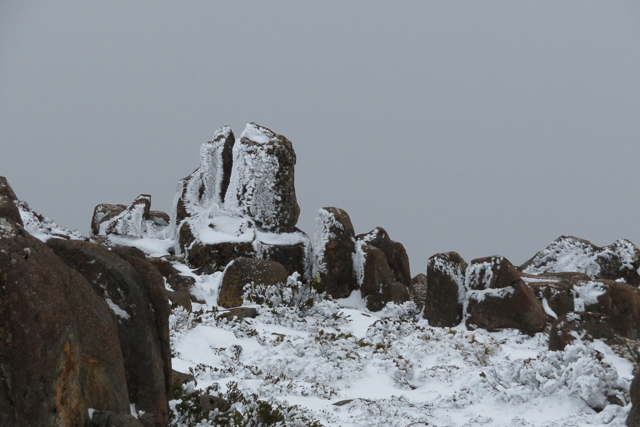 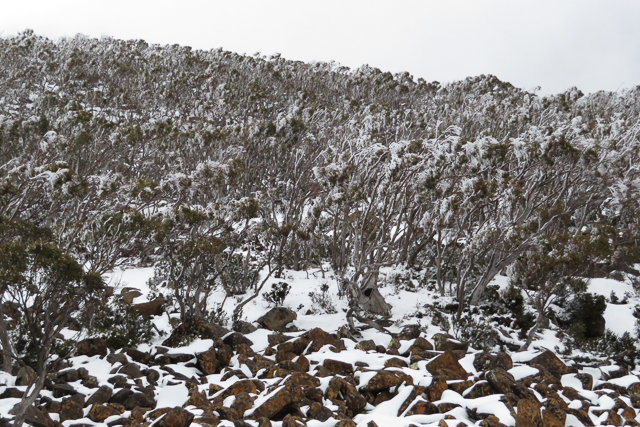 It was a bit too cloudy for that, but there were still some lovely snow and mist effects amongst the snow gums and boulders that characterise the mountain’s landscape. 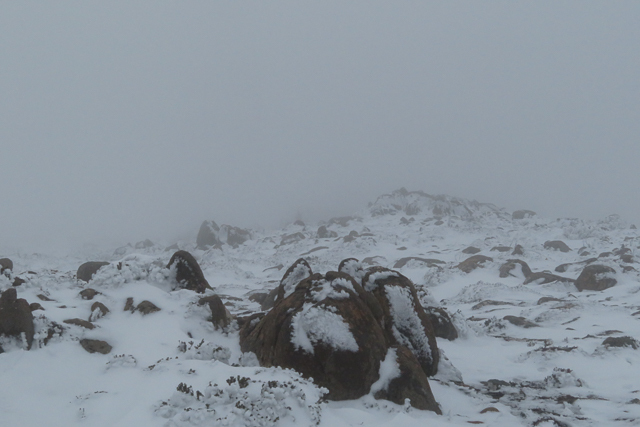 It was nicely atmospheric … and just a smidge cool.